SEO? It’s an acronym for Search Engine Optimization. But what SEO truly entails is making money on the net. I don’t mean the act of putting up ad’s and selling things online that you hope individuals will purchase. What I do mean is making whatever you have available no matter if it has a price tag on it or not simply and readily available to the search engines. As you know individuals mostly utilize the Net to discover information. When somebody is attempting to discover information they tend to utilize a search engine. When discussing SEO we have to look at the big picture or the whole pie. I'm going to explain to you how everything comes together for you when you're utilizing a search engine as either a surfer/searcher or a marketer/publisher. 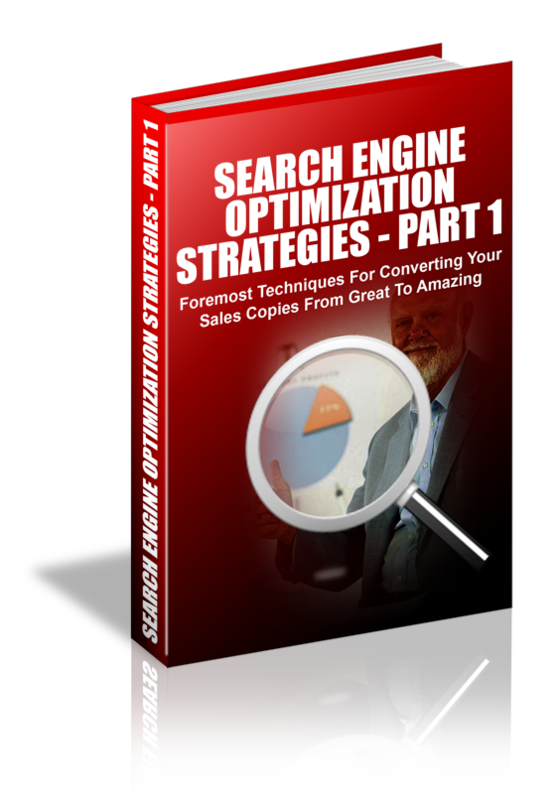 This 29 page PDF ebook comes with Master Resell Rights.